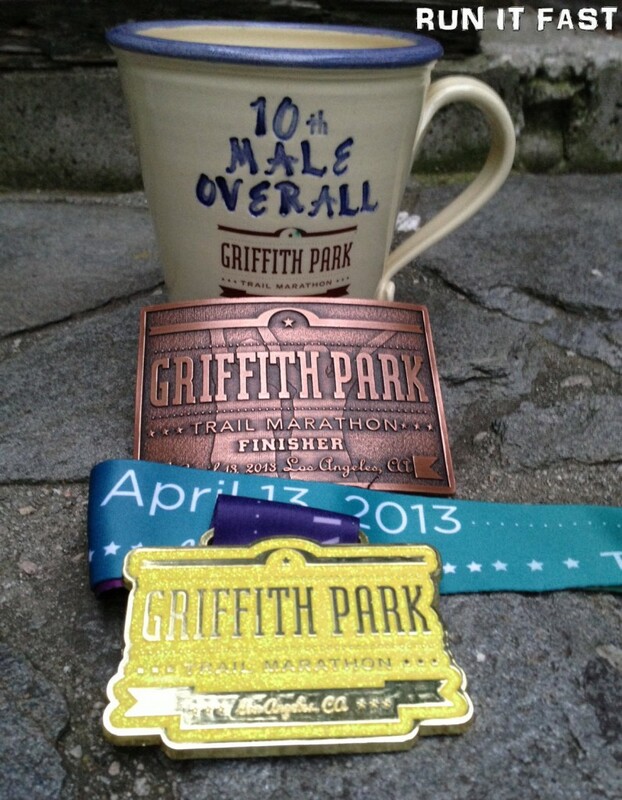 Here is the race bling for the inaugural Griffith Park Trail Marathon that was held on April 13, 2013 in Griffith Park in Los Angeles, California. All finishers of this tough trail marathon received the buckle in the middle of the photo above. Yes, I said a buckle. Not the norm for a marathon but a very cool buckle. The medal at the bottom of the photo was also provided to those who signed up in the in the initial lottery for the race. And finally, congratulations to RIF #1 Josh who was 10th Overall Male and got to take home a mug as well!